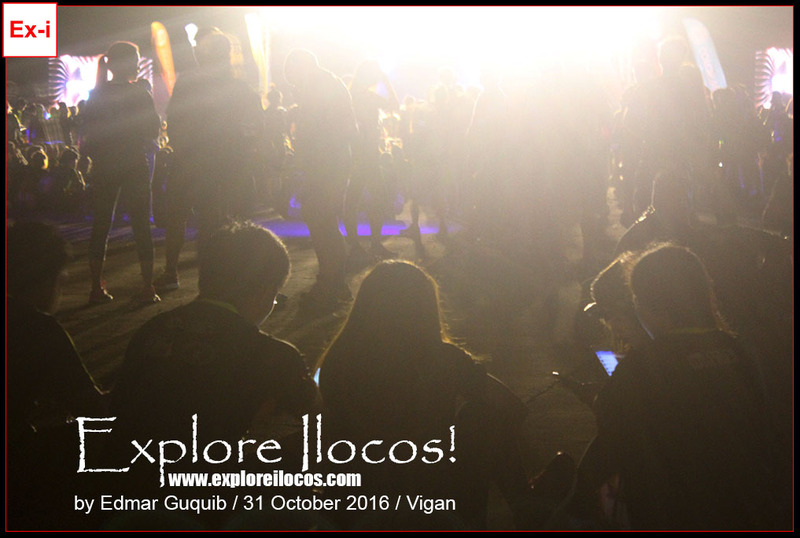 VIGAN CITY, ILOCOS SUR ▬ All Ilocano millennials and pre-millennials' road lead to the Vigan Domestic Airport. 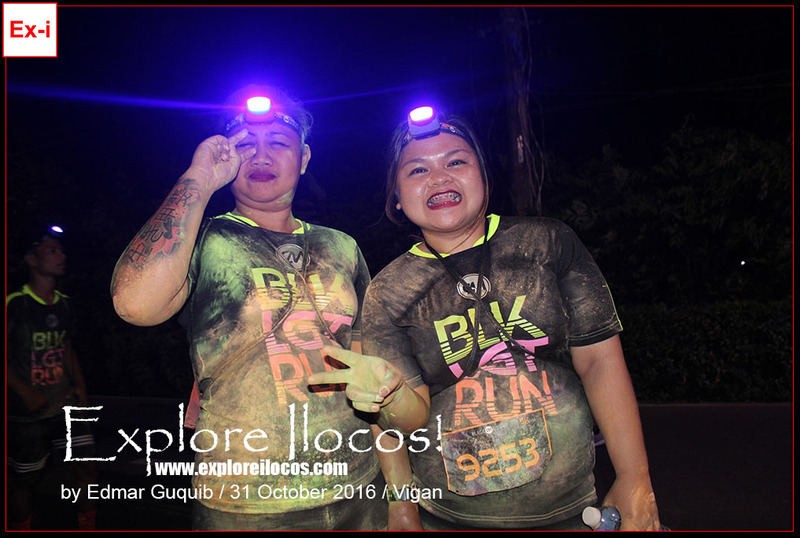 Wearing identical shirts, this multitude all gathered at the Vigan Domestic Airport to join the first event of its kind in Northern Luzon—the Ilocos Sur Black Light Color Run—organized by Color Manila Run. 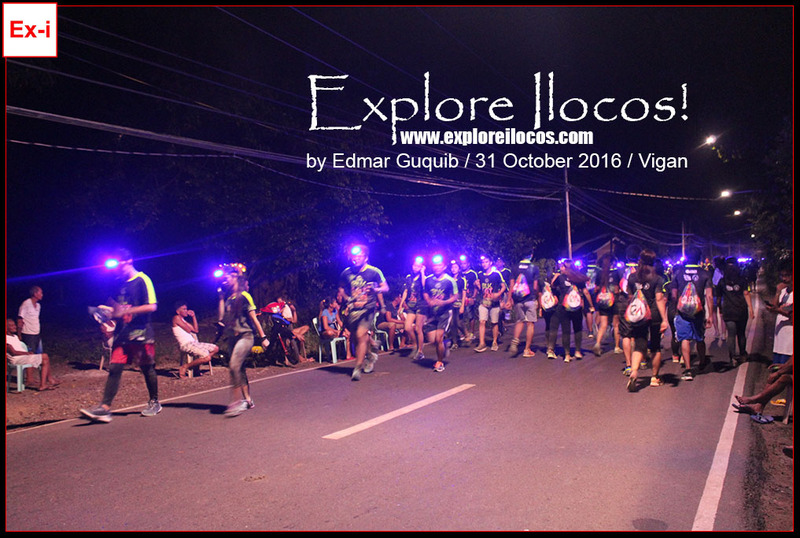 The event was the initiative of the Provincial Government of Ilocos Sur. 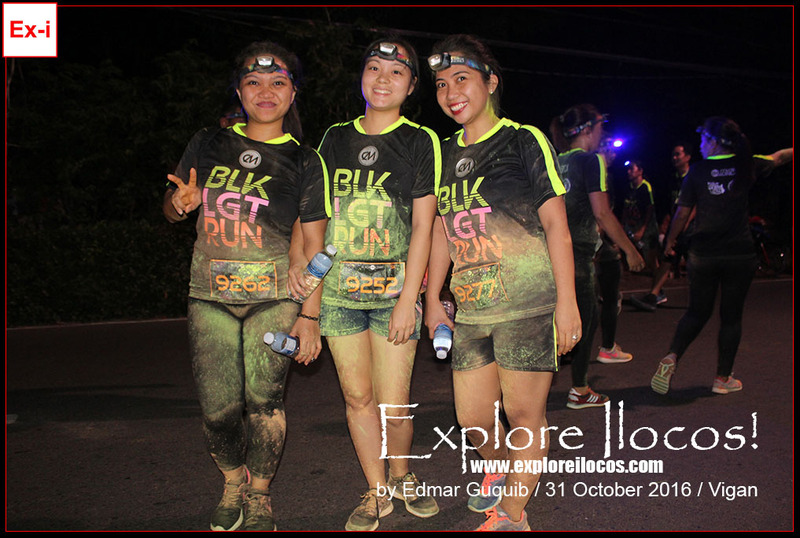 It was actually a fun run with a twist. 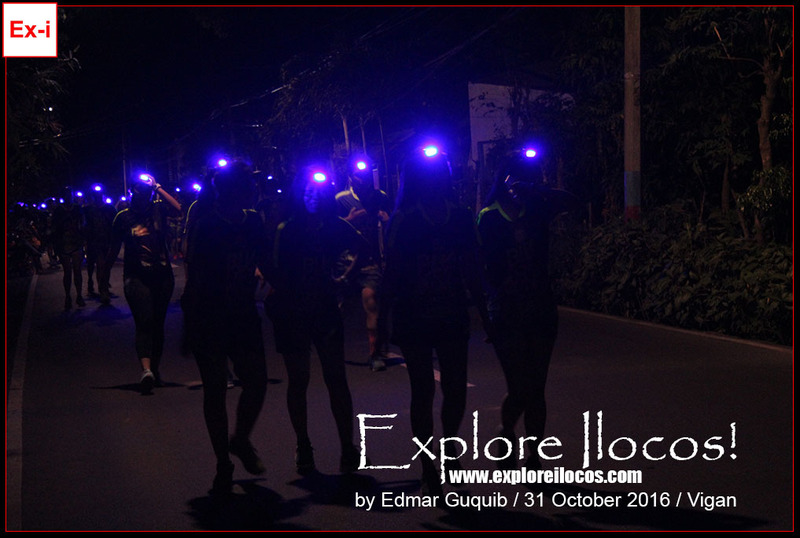 Runners wore their headlamps. As they go along the way, they'd be tinted with colored powders. 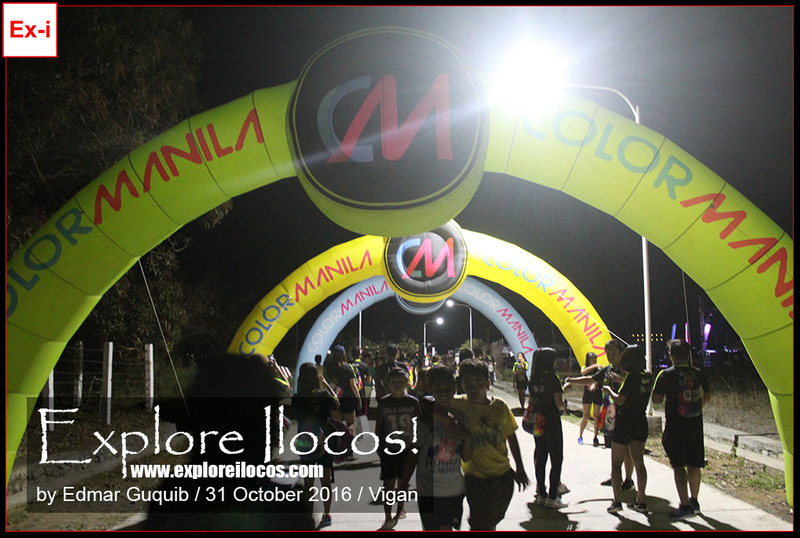 Thousands of runners joined the event that started at the Vigan Airport up to the Provincial Capitol and back. 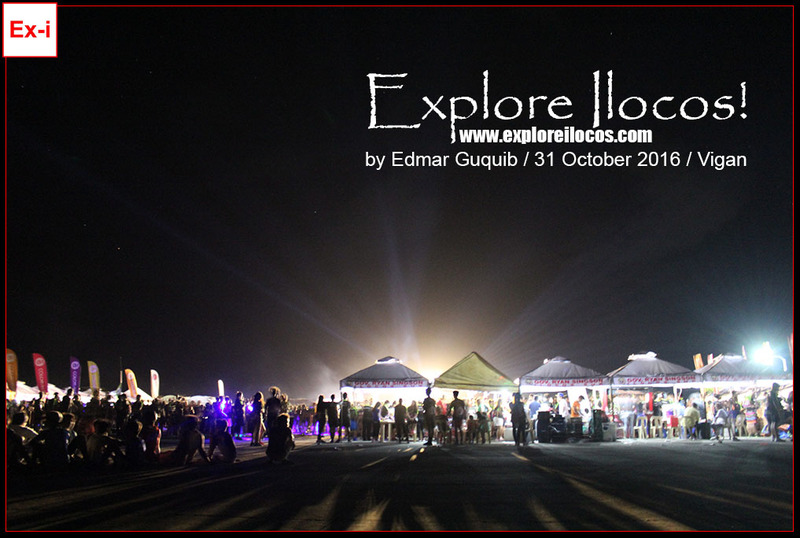 The assembly area (Vigan Airport) was set-up with party vibe. 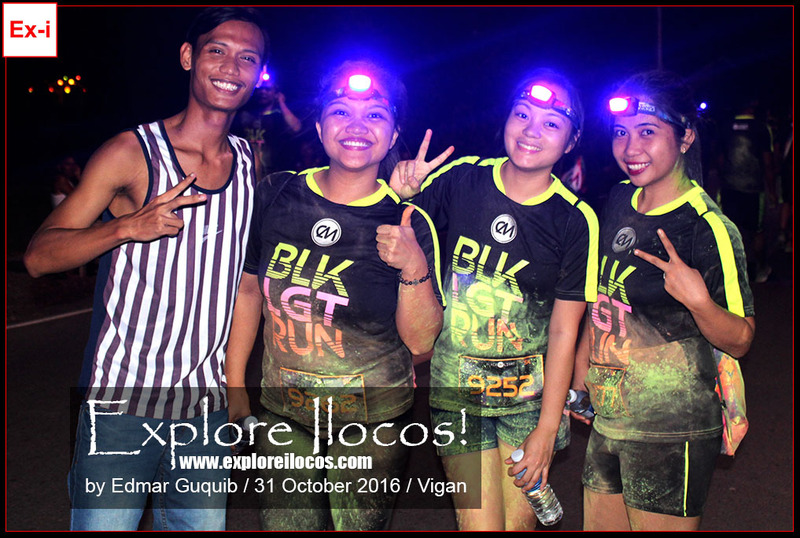 The response of the Ilocanos for this event was overwhelming (maybe because it's first of its kind to happen not just here in Vigan but in Northern Luzon as claimed by the event host). Brgy Bulala was traffic-jammed because of the event. Well, it's expected because of the thousands of attendees that flocked at the airport. 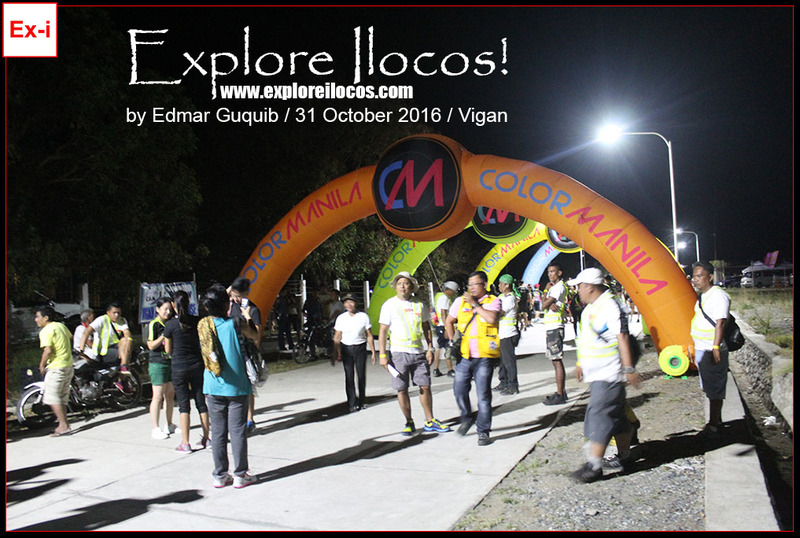 I liked how the organizers and the LGU worked hand in hand for this event. 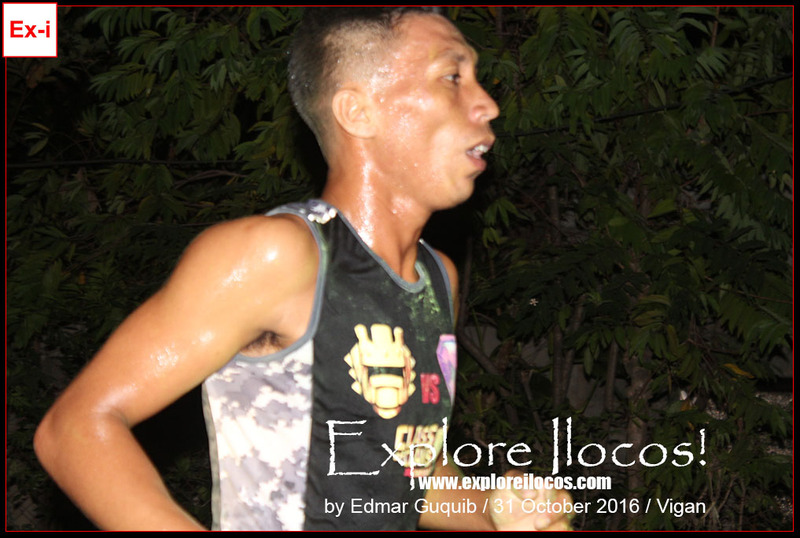 There were water stations and emergency/rescue team at different points. The crowd of joiners was mammoth! It was indeed a successful event. 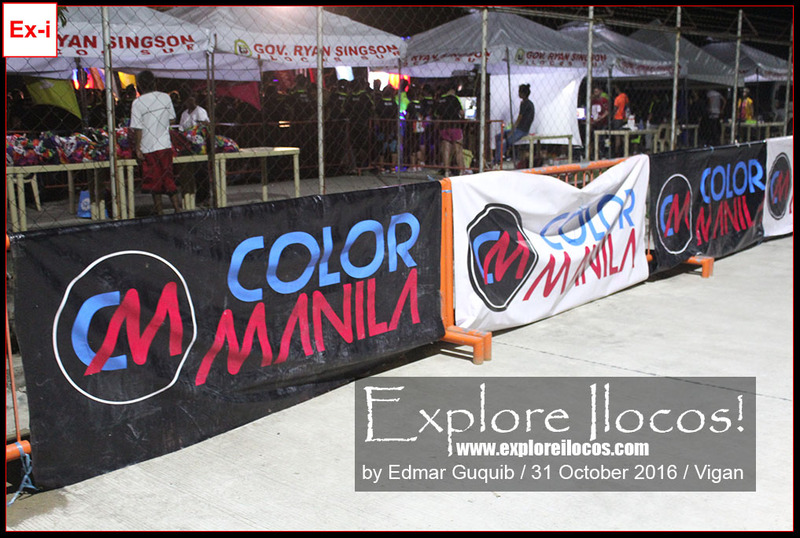 The early-bird promo for this event was 350 pesos which included a bag and a t-shirt. Later, it became 650 pesos. I hope it will happen again next year!